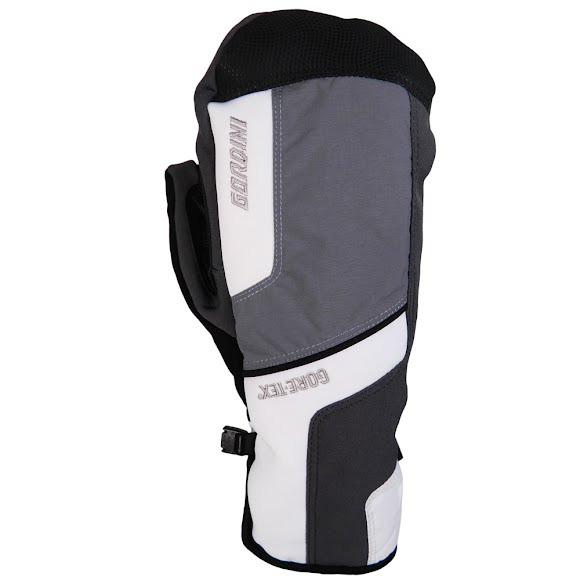 Gordini's Challenge XIII Mitten features ultra warm Gore-Tex to keep your hands warm and toasty all day. Hydrowick microdenier lining as added to help whisk moisture away from skin preventing wet hands. Gordini&apos;s Challenge XIII Mitten features ultra warm Gore-Tex to keep your hands warm and toasty all day. Hydrowick microdenier lining as added to help whisk moisture away from skin preventing wet hands. Gore-Tex provides maximum comfort over an extremely wide range of temperatures and activities due to a high level of breathability. A Gore-Tex membrane is fixed between the outer shell and insulation to produce a windproof, waterproof glove that can keep hands drier and warmer for more extended periods than traditional waterproof breathable barriers. Superior wicking fabric that moves perspiration and water vapor rapidly away from the skin to help manage moisture. PrimaLoft is a patented ultra fine microfiber blend that is incredibly soft, lightweight and water repellent. PrimaLoft synthetic insulation absorbs three times less water, is 15% warmer when dry, and is 24% warmer when wet than the closest competitive insulation.